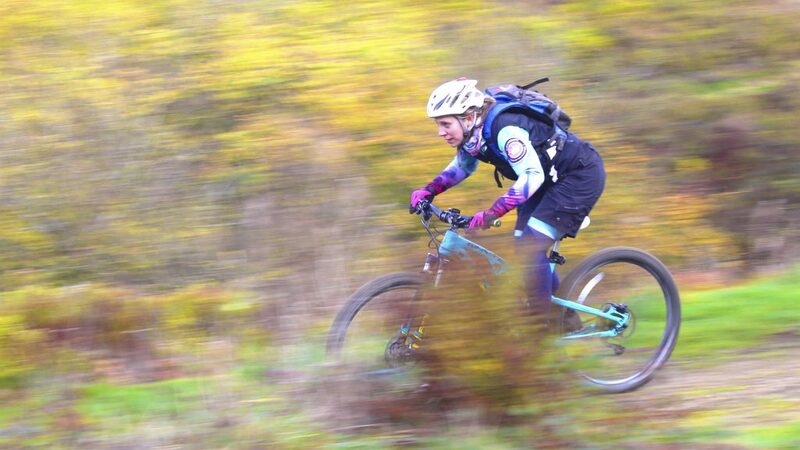 We are Queensbury Queens of the Mountain CC (QQoM): an all-female cycling club which aims to encourage more women to get out on their bikes. Whether you have only just taken to the roads or are a seasoned cyclist, aged 17 or 70+, QQoM offers something for all. We are an inclusive, friendly bunch of encouraging and supportive women, with a healthy appetite for cycling and of course café stops. Catch-up chats, coffee and cake figure highly on most of our rides. 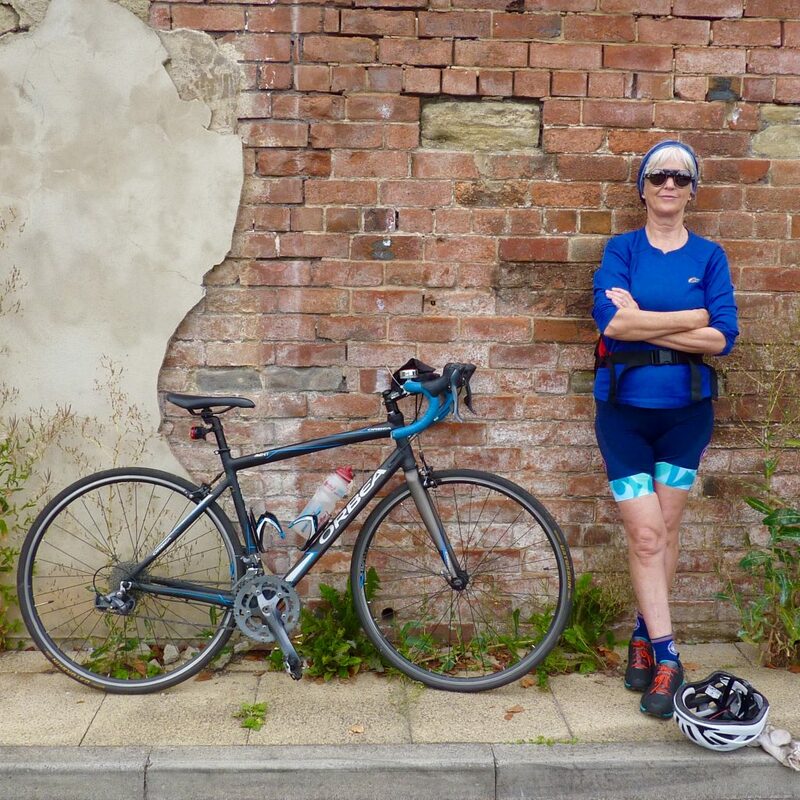 Rides range from beginners’ Breeze rides along the Spen Valley Greenway to challenging sportives around Brontë Country. We cater for the obsessive road rider, the gnarly mountain biker and everything in between. Believed to be the highest cycling club in the country, QQoM assert that cycling in fresh air surrounded by beautiful scenery is the best form of meditation. We invite you to join us and give it a try – you won’t be disappointed. Our vision is to promote women’s cycling from beginner to professional level. 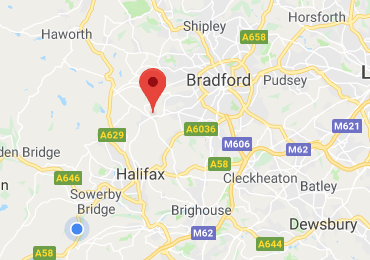 Based in Queensbury (West Yorkshire) most of our members live in and around Bradford, Halifax and Huddersfield. I’m Catherine and I’m a queen of speed. You’ll find me on the start line of the Sunday morning time trial, the local crit race or that horrible hill climb. I’ll be the one stealing your Strava segment or setting a new time to beat. Catch me if you can. I’m Pat and my bike is my happy place. On the Saturday social, I meet up with friends to chat, laugh and eat cake. There’s no competition; just good company. I always arrive home with a story to tell and any calories burnt are an added bonus. I’m Sheila and I love riding the superhighway. I cycle through our towns and cities seeking out the best cafes along the way. There's nothing better than the anticipation of what might be around the next corner. I’m Elise and I cycle to keep a clear head. I’m a busy mum but on the ‘Friday Ridey’ I steal a few hours for myself. Being out on my road bike keeps me sane and helps me to be at my best for my family. After watching their mum out on the roads it’s great to be inspiring my children to be out there too. I’m Helen and I’m a certified adrenaline junky. On my mountain bike, I sweat and I get muddy. As long as I’m off the beaten track, there isn’t a trail I won’t try to conquer. It isn’t always pretty, but who cares when it’s this much fun. 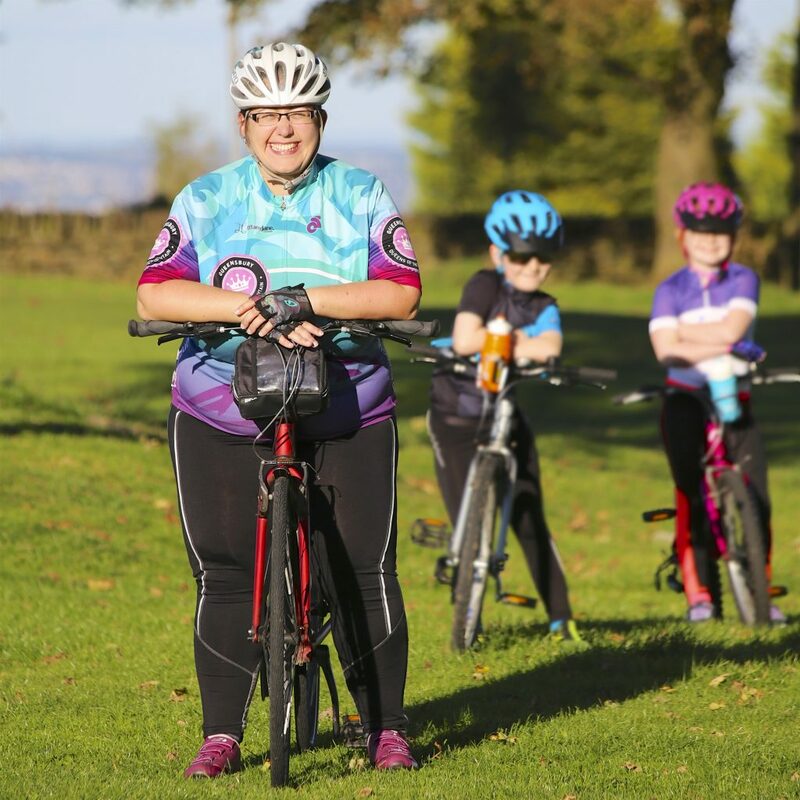 QQoM cycling club for females is based in Queensbury which is situated between the bustling city of Bradford and market town of Halifax, and in close proximity to the South Pennines and Yorkshire Dales. 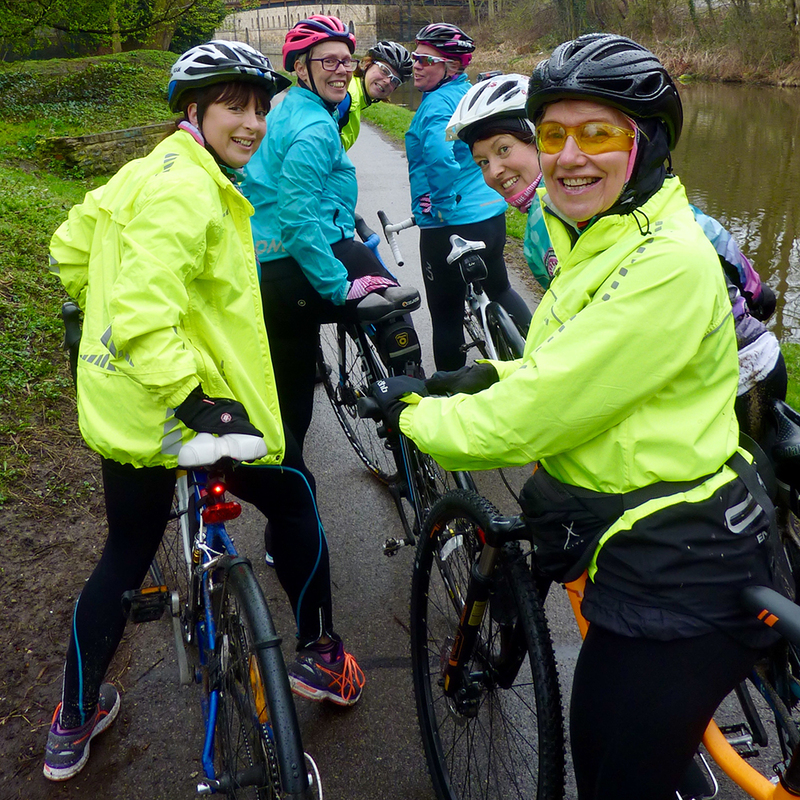 The popular women’s cycling club attracts cyclists from all over Yorkshire. 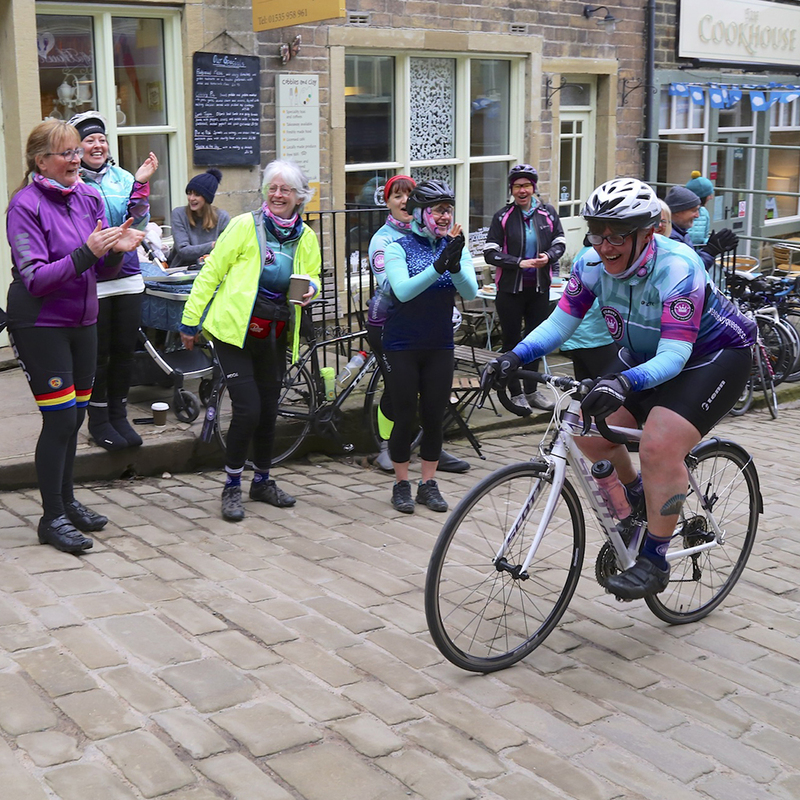 To enquire about joining the fabulous Queensbury Queens of the Mountain all-female cycling club, please email us.